4k00:10Blue and green lizard lies and runs on stone in natural leaves environment. Wild nature and animal background. Small lizard close-up on mountain rock. Wildlife, reptile. Beautiful wallpaper. 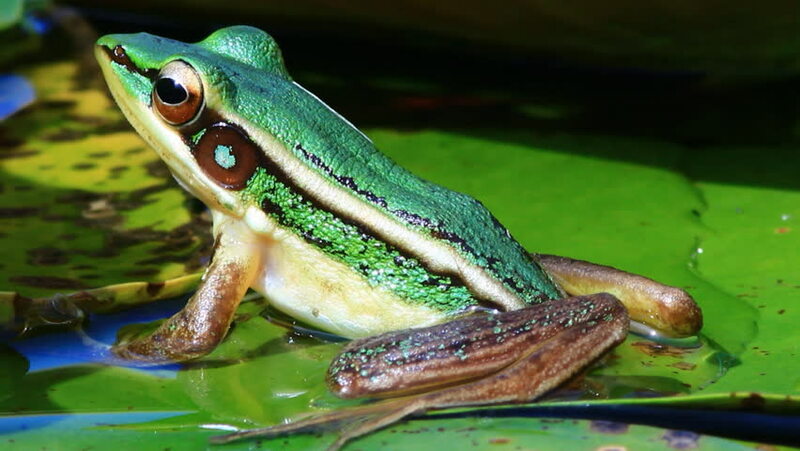 hd00:12Australian Green Tree Frog on a leaf.